For the 1936 Spanish Civil War battle, see Battle of the Sierra Guadalupe. 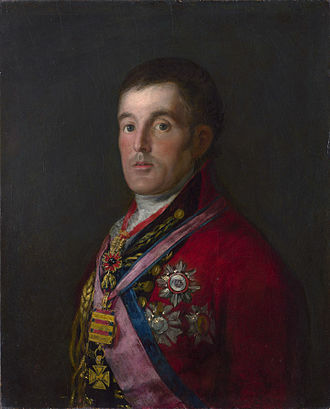 Victor began his southern drive with the objective of destroying the Army of Estremadura, commanded by General Cuesta, who was retreating in face of the French advance. 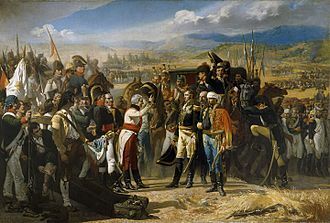 On the 27th of March, Cuesta was reinforced with 7,000 troops and decided to meet the French in battle rather than continue to withdraw. 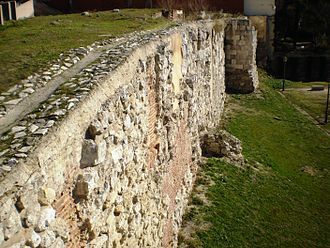 The battlefield was just southeast of the town of Medellín, roughly 300 km southwest of Madrid. The Guadiana River ran along a west-east axis in the northern edge of the battlefield, joined with the Hortiga River, which ran along a north-south axis that precluded any Spanish flanking maneuvers on the French right. 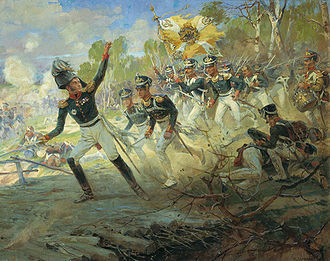 Victor had roughly 17,500 troops while Cuesta possessed about 23,000. However, Victor had a 50-30 advantage in guns and could also count on more cavalry than the Spanish, 4,500 to 3,000. Both commanders arrayed their armies in an unusual fashion, although Victor's setup seems to have been more reasonable. The center of the French army, an infantry division under General Eugene-Casimir Villatte, occupied the main road that led from Medellín to Don Benito in the southeast, whereas the wings, commanded by Lasalle (the left) and Latour-Maubourg (the right), stood much farther south and southeast. Each wing was composed of a cavalry division and two infantry battalions filled with German troops from the Confederation of the Rhine. 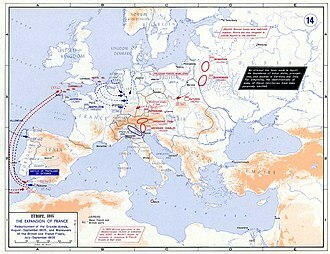 Apparently, Victor's intentions were to keep withdrawing his flanks closer and closer to the center until a powerful counter-attack could shatter the Spanish lines. 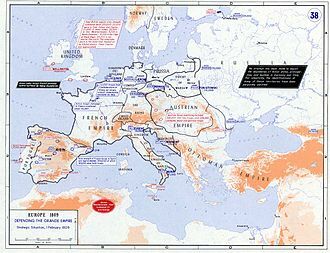 Victor's reserve was an infantry division under General François Ruffin, which would not take part in the battle. Victor's innovative scheme can be sharply contrasted with Cuesta's mistakes: Cuesta maintained no reserve and extended just 23,000 men, deployed in four ranks, into a four-mile arc from Guadiana to Hortiga. His plan was to simply strike the French wings and hope to catch the entire French army with their backs to Medellín and the Guadiana River, which was exactly what Victor expected. The cannonade began around 1 p.m. and Cuesta ordered the attack about an hour later. The Spanish initially had a great deal of success, repelling an impatient cavalry charge on their left flank by a brigade of Latour-Maoubourg's dragoons and prompting both French wings to keep falling back, all while their skirmishers unleashed deadly fire into the French ranks. Lasalle's position was a bit dangerous, since the Guadiana at his back meant his 2,000 cavalry and 2,500 infantry could not fall back more than a mile. 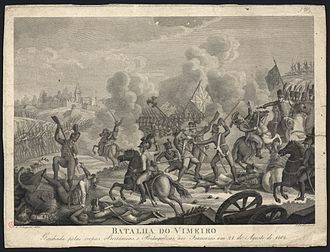 Three Spanish cavalry regiments hovered around the bank of the Guadiana and attempted to turn the French left, but Lasalle and his men held on to their tenuous positions. 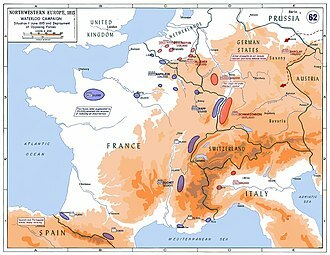 By this point in the battle, both French flanks had retreated far enough to be within easy supporting distance from Villatte's division. Latour-Maubourg's western sector was reinforced with the 94th Line infantry regiment and a battalion of grenadiers. 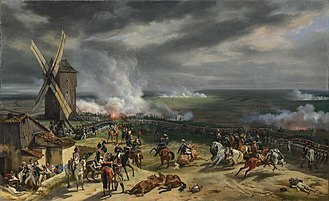 The ten French guns in this part of the battlefield also stabilized the situation as they consistently outperformed their Spanish counterparts. Spanish infantry, however, kept pushing forward and created many problems for Latour-Maubourg's men, who were arrayed in squares to protect themselves against cavalry charges and consequently had limited firepower. 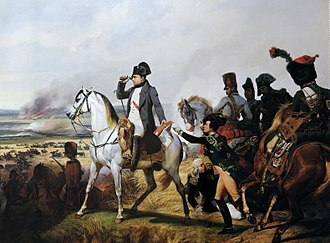 As the Spanish threatened to capture the French guns, Latour-Maubourg ordered the dragoons to attack once more. This time, the charge succeeded. 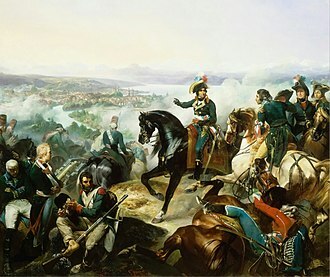 The French dragoons defeated three Spanish cavalry regiments, who fled the field and left their infantry isolated, prompting them to flee as well. Since Cuesta had no reserves, a breach of this magnitude was just about the worst that could happen to his fragile line. Events now unfolded quickly. Lasalle had been reinforced with seven infantry battalions from Villatte, and once he saw the Spanish routing to the west he too ordered a powerful counter-attack. 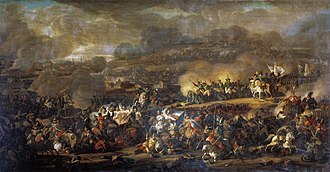 The 2nd Hussars regiment, accompanied by a regiment of Chasseurs à Cheval, smashed the Spanish cavalry, reformed, and charged at the once-again abandoned Spanish infantry in the eastern flank. Lasalle's fresh battalions also attacked frontally and French dragoons were now rolling over the center of the Spanish army, which attempted to flee in any way it could. Many were brutally killed in this chaotic retreat and Cuesta's army effectively ceased to exist. It had been a disastrous day for Cuesta, who nearly lost his life in the battle. 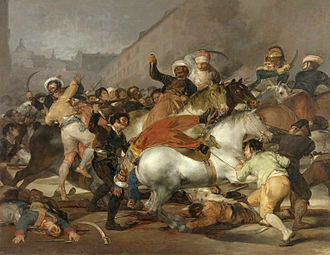 Some estimations put the number of Spanish killed at 8,000 men, counting both battle and after battle killings, and about 2,000 captured, while the French only suffered about 1,000 casualties. However, during the next days the French undertakers buried 16,002 Spanish soldiers in mass graves. On top of that, the Spanish lost 20 of their 30 guns. 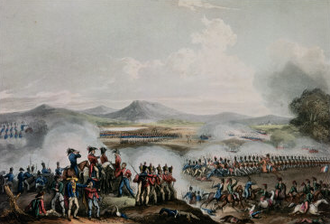 It was Cuesta's second major defeat at the hand of the French after Medina del Rio Seco in 1808. 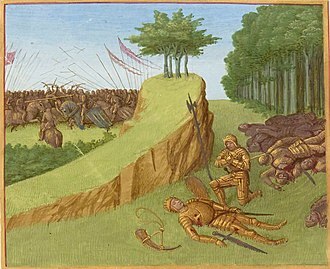 The battle saw a successful start to the French conquest of Southern Spain. Napier, Sir William Francis Patrick (1867). 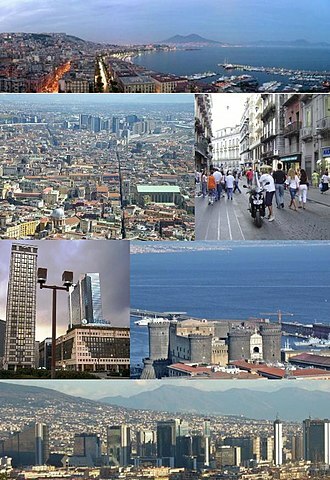 History of the War in the Peninsula, and in the South of France: From the Year 1807 to the Year 1814. [T.and W.] Boone. Uffindell, Andrew (2003). Great Generals of the Napoleonic Wars. Spellmount. 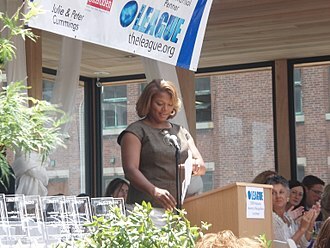 ISBN 1-86227-177-1. The Guadiana River, or Odiana, is an international river defining a long stretch of the Portugal-Spain border, separating Extremadura and Andalucia from Alentejo and Algarve. 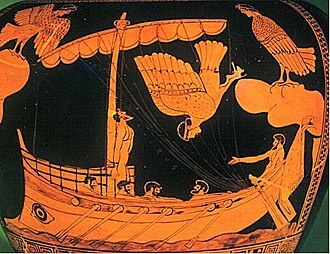 With a course that covers a distance of 829 kilometres, it is the fourth-longest in the Iberian peninsula, the Romans referred to the river as the Flumen Anas, the river of ducks. During the Moorish occupation and settlement, the name was extended and referred to as Wadi Ana, passed on to Portuguese and Spanish settlers as the Ouadiana, and just Odiana. It is 818 kilometres long, of which 578 kilometres are within Spanish territory,140 kilometres within Portugal, about 82 percent,55,444 square kilometres, of its basin is in Spain, while about 17 percent,11,560 square kilometres is in Portugal. 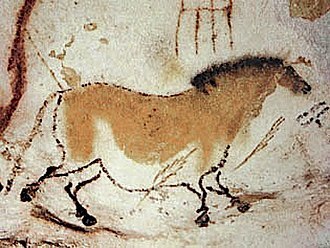 This legend developed from a belief that the river appeared and disappeared over time. In fact, no subterranean course exists, and the belief that the Lagunas de Ruidera is the source is controversial and traditionally the Upper Guadiana, which runs from Viveros until Argamasilla de Alba had been identified as the main branch of the Guadiana. But even hydro-geological characteristics indicate that the Upper Guadiana may not be the river within the system. Another of the theories, postulated that the Cigüela and Záncara rivers were the sources of the Guadiana. 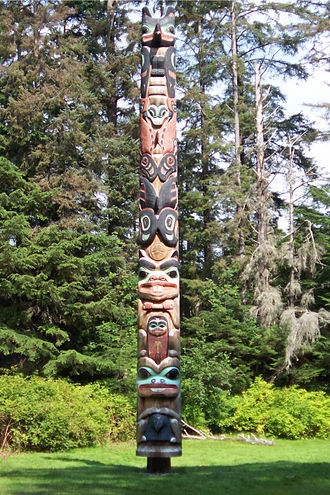 Today, they are considered parts of the rivers headwaters and important tributaries. The Ciguelas source is in Altos de Cabreras and pertains to the Sistema Ibérico and its course is 225 kilometres long, receiving contributions from the rivers Jualón, Torrejón, Riánsares, Amarguillo and Záncara. 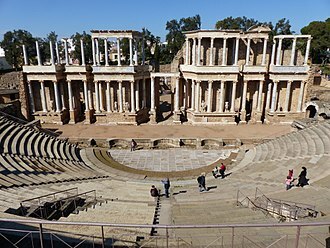 From its origin/spring runs from the southern Iberian plain in a direction east to west, to near the town of Badajoz, where it begins to track south leading to the Gulf of Cádiz. The Guadiana marks the border of Spain and Portugal twice as it runs to the ocean, for the most part, the Guadiana is navigable from the Atlantic ocean until Mértola, a distance of 68 kilometres. North of Mértola on the Guadiana is the highest waterfall is Southern Portugal called Pulo do Lobo, the ecosystem has Mediterranean hydrological characteristics, including high variation in intra- and inter-annual discharge, large floods and severe droughts. Antoine-Charles-Louis, Comte de Lasalle was a French cavalry general during the Revolutionary and Napoleonic Wars, often called The Hussar General. 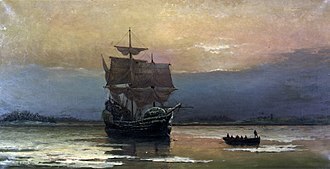 He first gained fame for his role in the Capitulation of Stettin, over the course of his short career, he became known as a daring adventurer and was credited with many exploits. Eventually, he fought on every front and was killed at the Battle of Wagram, Antoine Lasalle was born on 10 May 1775 in Metz, Lorraine province, into a family of minor nobility. 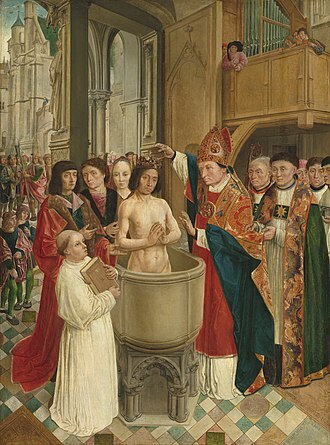 His father was Pierre Nicolas de Lasalle d’Augny, an officer in the French Royal Army and a knight of the Order of Saint Louis, on his maternal side, Lasalle was a descendant of Abraham de Fabert, a Marshal of France. When the French Revolution broke out, Lasalle embraced it and was assigned as a lieutenant to the 24th Cavalry Regiment on 25 May 1791. 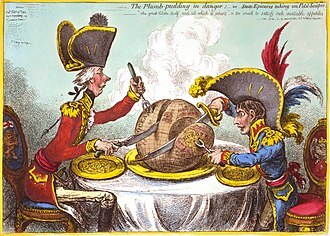 As result, he lost his commission but he remained loyal to France, the incident did not deter his desire for a military career, so he enlisted as a private in 1792 and moved to Paris. 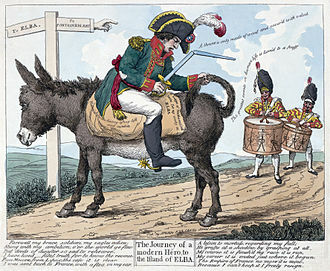 He joined the Section des Piques, a group of radical Parisian revolutionaries in the National Guard, by 1793, he had joined the Army of the North in Italy as a volunteer in the 23rd Horse Chasseur Regiment. He was soon elected sergeant and led his company to attack, the general in command witnessed the fearlessness that Lasalle had demonstrated, and proposed that he be made an officer. 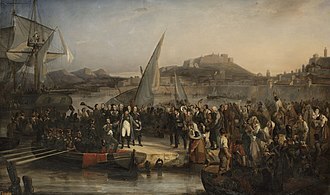 Lasalle rejected this because it would separate him from his men, through family friendship with François Christophe Kellermann, he won back his pre-Revolutionary grade of lieutenant and became Kellermanns aide-de-camp on 10 March 1795. Enjoying the challenges of staff work, he stayed with Kellermann when he transferred to the Army of Italy on 6 May 1795 and he was employed as assistant to Kellermann’s son, Adjutant-General François Étienne de Kellermann in May,1796. 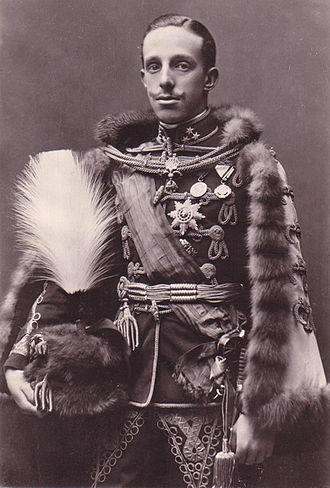 Lasalle was soon promoted to Captain on 7 November, the same year and he justified his rapid progress and reputation when, at the Battle of Rivoli, he spurred ahead with the entire cavalry –26 horsemen of the 22nd Horse Chasseurs. As a result, a battalion of the Deutschmeister Regiment threw down its arms in panic. 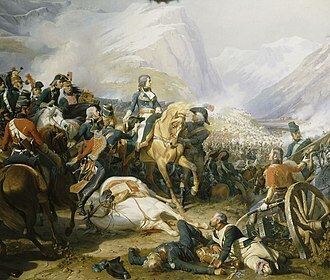 A battery of 15 French guns blasted the Austrian dragoons, while two columns of infantry were led forward supported by cavalry under Charles Leclerc and Lasalle, the packed Austrian soldiers in the gorge fled when their own dragoons began trampling on them in panic. Likewise, the infantry on the Trambasore Heights were unable to hold once Lasalle. 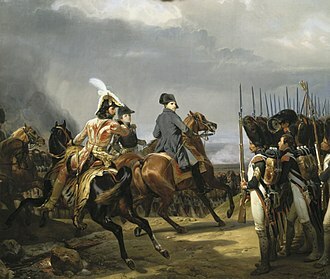 Lasalle and his men continued to support Generals Lebley and Vial until the battle was over, there were 5,000 French casualties and 14,000 Austrian casualties. Eleven flags were captured, five of which were captured by Lasalle, after the battle, all of the trophies were piled up before Napoleon and Lasalle lay exhausted a few feet away on top of his five flags. Napoleon said, Go to sleep on your flags, for it was well-deserved. ”With 16 men from the new Corps of Guides, Lasalle charged the enemys Uhlans, forcing them to evacuate the city and retreat to the Tagliamento. Entrance of Lasalle's birth house in Metz.